If you are reading this article, it means that your interest for machine embroidery has overcome the beginner stage, and you have decided to master the embroidery software to choose the right one for creating cross stitch patterns. A lot of manufacturers, in order to increase embroidery editor capability, add a software module that allows creating cross stitch patterns and saving them into the formats recognized by the embroidery machines. What are these software products you'll learn from this article. I want to bring to your attention the fact that in this review I only point out those software products that allow creation of cross stitch patterns for embroidery and sewing and embroidery machines. Also note that you'll find only the widely known software products on this list, for I skipped the lesser known ones. 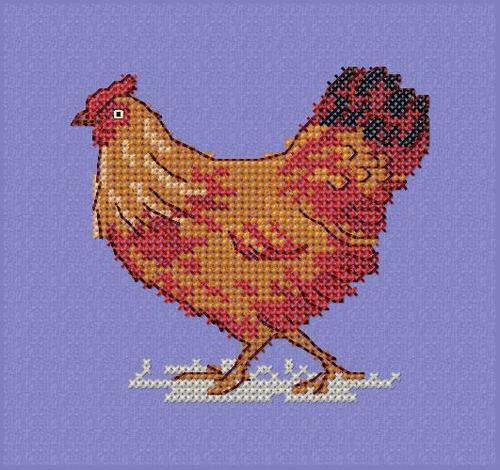 Creation of the cross stitch patterns Creating cross stitch patterns for embroidery machines, on one hand, is the easiest of all digitizing tasks, but on the other hand, the most complex one. It depends on the principle of creation: whether a designer will work with ready patterns or create the new designs completely out of his head or using the images (such as photographs) of his own. Fortune favors a designer that has decided to try and digitize a ready pattern. There is no need to think about such design characteristics as basting, density and pull compensation. There is no need for using imagination to convert a photo into a cross stitch pattern. 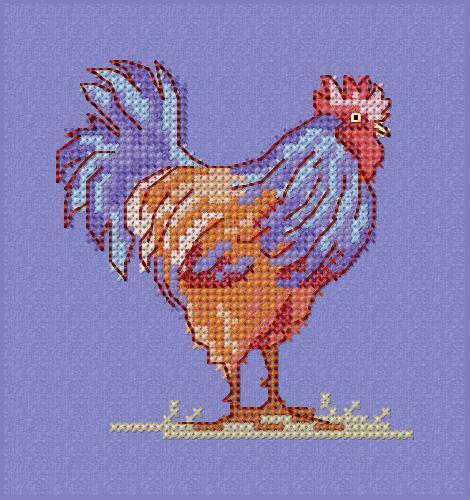 One just needs to figure out what types of cross stitch there are in hand embroidery, which ones can be created in the software, and after having mastered the tools, to create stitches one by one. A designer that wants to create cross stitch patterns from images or photos has to face all the problems with color scheme, stitch types and their size. This requires a creative approach and artistic thinking. To be through with the embroidery software once and for all, you need to understand that it comes in standalone editors and also built-in modules. I don't want to throw my weigh around and influence your decision, and yet I want to make some comments about the usefulness of various software products. The software for creation cross stitch patterns falls into two main categories: Standalone editors Of all the software meant for creation of cross stitch patterns and conversion of the files into the format recognized by embroidery machines we can single out two products: • PatternMaker for CrossStitch • CrossStitch Professional Platinum Both of these software products were designed for creating hand embroidery cross stitch patterns, and only later the manufacturer added an option of saving the result in a format recognized by an embroidery machine. Although both of these editors were designed for creating hand embroidery cross stitch patterns and have practically all the tools for creating machine embroidery designs, in my opinion, CrossStitch Professional is slightly superior to PatternMaker. Notably, the latter of the two lacks an option of saving most of the special stitches (cross stitch) into a format recognized by a machine. Both software products work with scanned patterns as well as process images automatically and create designs with the help of the tools. Additional modules Nearly all big embroidery editors have additional modules that allows creating cross stitch designs. Sometimes they come as an in-built solution, sometimes you need to buy them separately. Embird (bought separately) has an automatic conversion tool, and also an option of fitting the scanned patterns into the open documents to make the process of creation more easy. 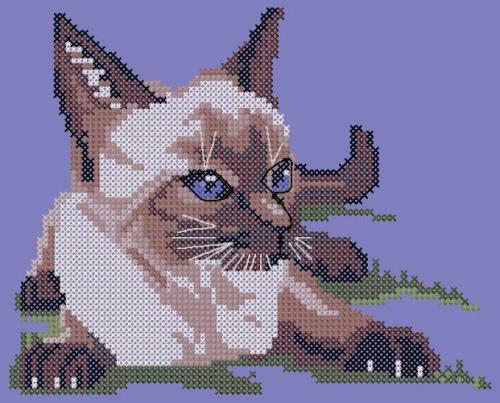 You can also create cross stitch patterns with tools. Conversion of the special stitches is present. Wilcom ES – has an automatic conversion option, is able to create cross stitch designs from scanned pattern and has tools for object creation. There is also canvas changing option and the possibility to set the stitch count. The capabilities of the software are sufficient for creating cross stitch patterns, but one would wish more operational comfort. Bernina ES (in-built) — practically the same as Wilcom ES. Digitizer MBX/Pro (bought separately) — practically the same as Wilcom ES. They cost about $160-200 each. PE Design (in-bulit) – this software had an automatic conversion option, and you can also work with scanned patterns. Creation of the cross stitch patterns with the help of tools is not the best here. Compucon EOS — automatically converts images into cross stitch patterns and also has tools for creating objects with cross stitch fill. Tajima DGML by Pulse (in-built up to v. 14) — starting form the next version there is no automatic conversion tool. 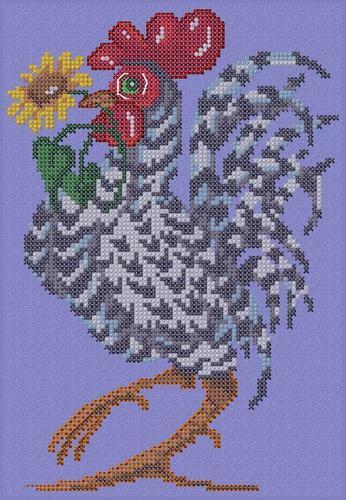 The software only has a tool for creating objects with motif fills and also one for creating cross stitch lines. 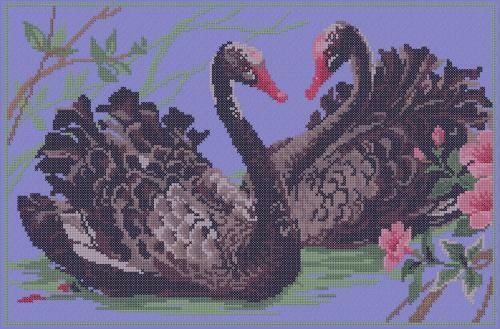 Which software product to choose for creating cross stitch patters, is entirely up to you! HELP trying to digitize a stuffed soft toy. agatha posted a topic in Husqvarna/PFAFF embroidery software. I had problems with my software/computer and had to reinstall Tajima Pulse. Now the spooler does not get rid of the file you sent to the machine after the machine accepts it. I have to go into the design que and delete the file before I can send another file. I can not find the place for the setting that changes that. It used to be different before I uninstalled so I know I had changed the setting once and can not find it to do it this time. Help please, it's so annoying! Machine embroidery design management When you enter into the embroidery business you will soon learn individual ways to track and organize your embroidery designs, some people use a specialty program, a filing systems on your computer, a database and other. Today we are going to take a look at organizing your designs with Librarian. This tool has been around for a while, while it has some limitations its a great tool for searching for designs. What is Librarian Librarian is a single user database that has been built into Tajima DGML by Pulse since version 11, the main structure of the database has not changed much over the years. This database allows you to store your PXF or a wide range of other stitch files. This database allows you to enter in information about the embroidery designs from vendor, special notes, it also keeps track of size, colors and more. You can search by a wide range of topics and or view the designs by image. It depends on how much type you want to spend setting it up. Where is librarian , it can be found at the top of your screen and is available on a wide range of levels.. This tool is one of the most ignored tools in your software, when I worked with Tajima Pulse most customers did not know that it existed or what it could do for them, not to mention that it also comes with the option of a 1000 machine embroidery designs to start up with. While the designs are free its up to you to add them if you want them. When opening your software for the first time and you open librarian it will prompt you to choose a BLANK Database or PREMIUM Database, If you choose blank it will not show you any designs until you add them , if you choose premium database it will give you 1000 machine embroidery designs. Menu Options If you click on the Librarian tab at the top of your screen you will get a menu similar to the one I have illustrated below. Open Design This allows you to visually view the embroidery designs in your database. Search This allows you to search by various fields if entered Save Design Manual way to add machine embroidery designs from your workspace to librarian Save Design as Same as above but allows you to make a different version of another design. Groups You can store embroidery designs in groups to catalog the embroidery designs easier Favorites Allows you to set embroidery designs up as favorites for quick reference Database info Path to the database for backing up and seeing how large your database is Import A option for mass loading your designs, however it doesn't enter any additional data Rebuild icons Sometimes the database will loose some image files, this option rebuilds the image files. Multiusers This is only available to users that purchased the items. Setting Librarian UP Prior to setting up your librarian for the first time you will need to make sure you have permission to allow your system to right to restricted areas of your computer. Librarian needs permission from your windows to access this area. Contact your local distributor for help with this if needed. Opening Designs When you click on the Open option in Librarian menu you will get the following screen . This screen is a bit confusing for some while it may seem like you can choose the various options, you need to setup your librarian to use these features, the easiest method for this window is leaving everything as default and clicking open., There one option you may want to look at the datatype, this will also depending on what file types you have in your database. The types included all embroidery files, stitch designs like DST, PSF and home embroidery formats, Outline files like PXF, POF, chenille embroidery designs and outline chenille designs. Stitch Files Stitch files do not retain the color information in embroidery designs, and have limitation on sizing and editing Outline Files These are the best files to save to librarian as they save all the editing information, and color info of designs, just like saving them to your system Chenille files are only available if you have a chenille embroidery machine. When you click open it will show your digitized embroidery designs in your window, depending on how large your window is will depend on how many designs it shows, also dependent on how many designs you have in the database as well. Opening a embroidery design To open a machine embroidery design you can just double click it and it will open up in Tajima DGML or you can right click to get more options, The main option you likely to use is the properties tab, but you can play around with the other options as well. GENERAL TAB This tab will tell you basic info about the design, including when it was made, name of the file, Design TAB This tab will show you information about the design including, Designer ID, Customer, Design dimension, stitch count, number of colors, number of trims etc. User Tags Optional, I have used these tabs to hold customer information, you can also add notes or special instructions to the file as well Color Information This tab will show you the color information of PXF and PSF and POF files but not dst files Attachments Optional, I use this if I store a customer logo , I attach the original artwork to the database file Groups Optional, you can add (1) embroidery design to several different groups. 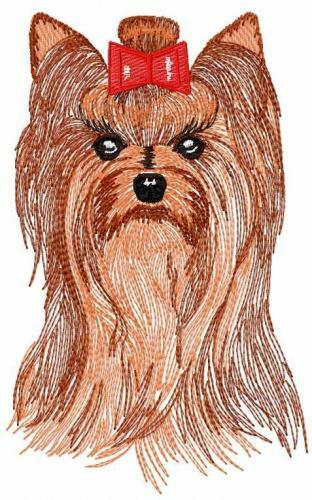 Dog design can be added to a Dog group or an animal group. Mass Load This option is listed as Import , but its basically a option of loading multiple designs at one time. This is a very taxing process for the computer as it has to generate alot of information for your files, You should do this when you do not need the machine for any other embroidery digitizing software task. To use this option click the file types you want to add, choose the location where the embroidery designs are and click next and it will begin uploading you may also get a note that your embroidery program is not responding, ignore this and come back later. When its done your screen will go back to the original window, Now you can go back into Librarian and see the machine embroidery designs you have added, Now if you the import option you will need to add other details to each file if you want to know the vendor etc. Searching Embroidery Designs If you mass load , you will not be able to search all the fields, unless you edit each file. when you search for a machine embroidery design you can search by the following criteria General Tab Design ID Optional , this needs to be manually added Customer Optional , this needs to be manually added Description Optional , this needs to be manually added General Key Optional, but rarely used Status Default is Production Designs Tab Designer ID Optional , needs to be added Customer Optional , needs to be added Desing Dimensions Size of the design Atributes Stitch Count, colors, trims, jobs etc,. There are some other tabs but blank by default If you want the information to be all added its best to add designs as you use them , or several a day in your free time. 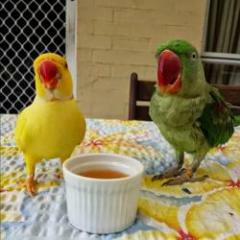 I am so happy to have found this site. I just got my embroidery machine. I am quickly finding that I need to resize designs. I am not sure what software to buy. How much money do these software's typically run. I am planning to use for resizing but as I get better who knows. I tried to download a free trial of something but it kept getting interrupted. Maybe I just need to purchase it so I will not have issues. 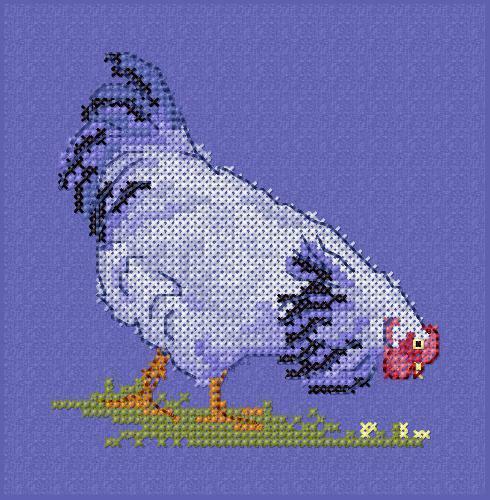 Just not sure what is best for a beginner I really appreciate any advice ..
Editable cross stitch pattern foe Embird cross software. Machine embroidery design here.